Clos Fourtet (1er Grand Cru Classé Saint Emilion), called "Camfourtet" in the Middle Ages, was once a fort designed to protect the village of Saint Emilion. The Château on the property as it appears today was the work of the Rulleau family. 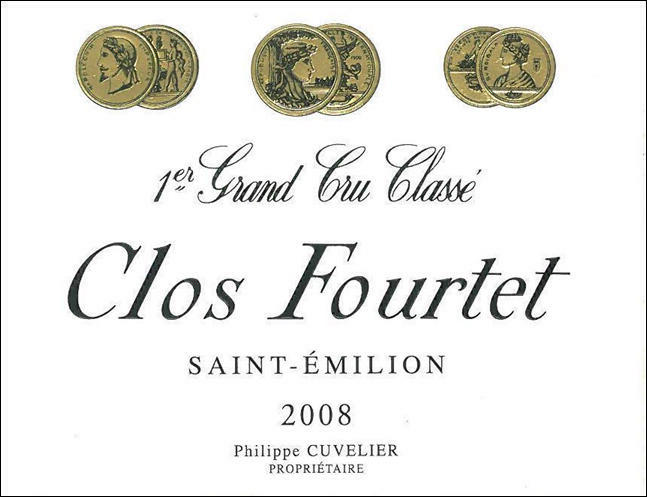 As the Château was no longer a fort, the Rulleau family were also responsible for the evolution of the name to Clos Fourtet. The Cuvelier family purchased the estate in 2001 and have since worked tirelessly to make the highest quality wine they can. Mattieu Cuvelier manages Clos Fourtet and has spared little expense to improve the wine and the estate. This includes an ever broadening approach to sustainable, natural and organic methods of farming. These techniques are proving to be quite favorable to the wines of Clos Fourtet and are quickly becoming the standard at the estate. Wine Spectator 95 WS Top 100 2017 Rank#62 "A sleek, lean cat, with distilled currant and raspberry fruit that races from start to finish, maintaining tension throughout thanks to a riveting chalky spine. A light floral hint hangs in the background. Should develop into a perfumy beauty with time.